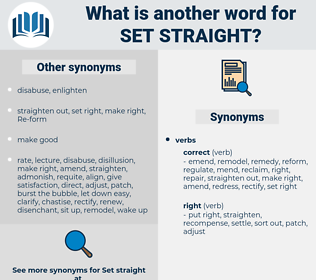 What is another word for set straight? 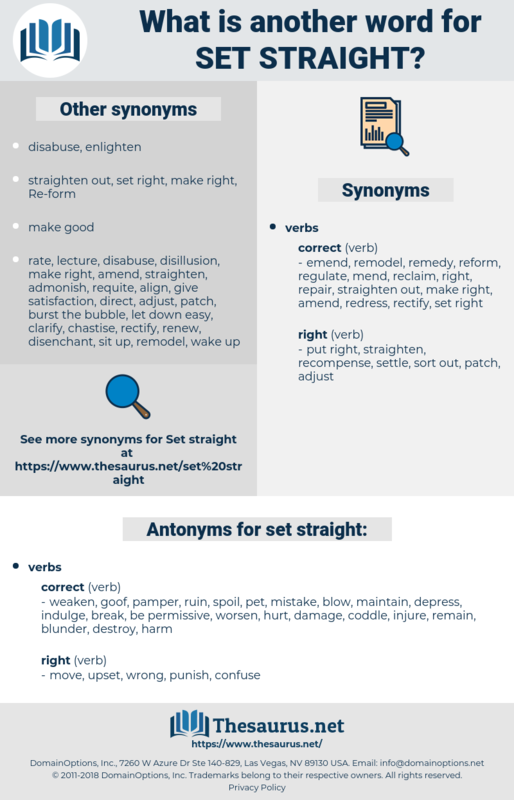 weaken, goof, pamper, ruin, spoil, pet, mistake, blow, maintain, depress, indulge, break, be permissive, worsen, hurt, damage, coddle, injure, remain, blunder, destroy, harm. move, upset, wrong, punish, confuse.